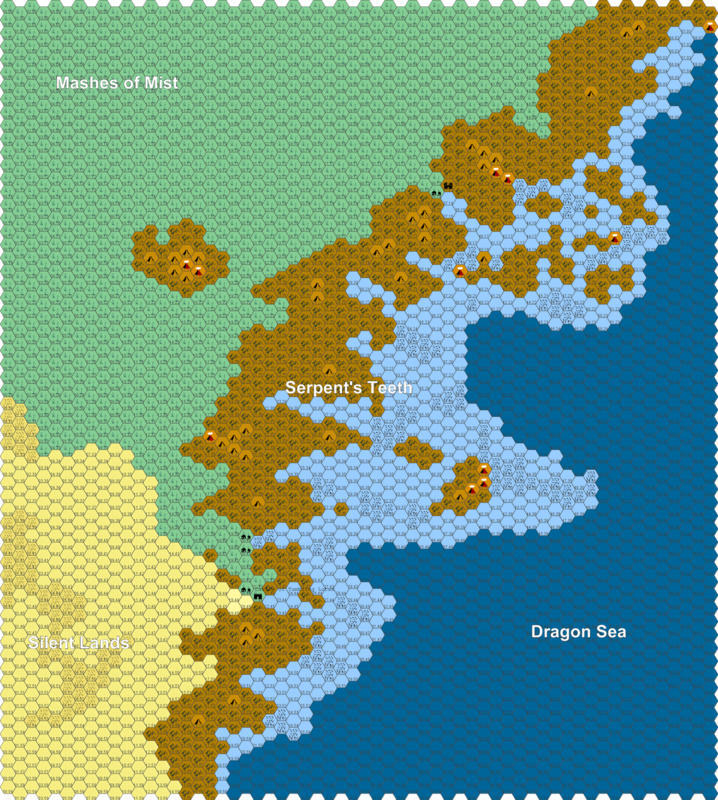 Here's the player's map for our upcoming foray into Swords and Sorcery pulp fantasy. Its pretty unadorned (though the referee's map has lots more to it.) 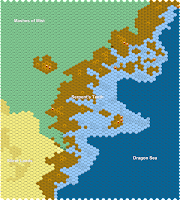 Unfortunately, the text of some areas is hard to read in this image; but, the bulk of the early adventuring occurs in hexes 21.44 and 22.44 - at the Castle of Tumbling Lotus and Throng's Keel respectively.